Equip your office with extraordinary screen back chair with leather seat. The height of mesh leather seat can be instantly adjusted with 1-touch pneumatic lever. Screen back allows for easy circulation of air. Polyurethane padded armrests are adjustable too. Dual wheel carpet casters are fitted into the heavy-duty nylon base. 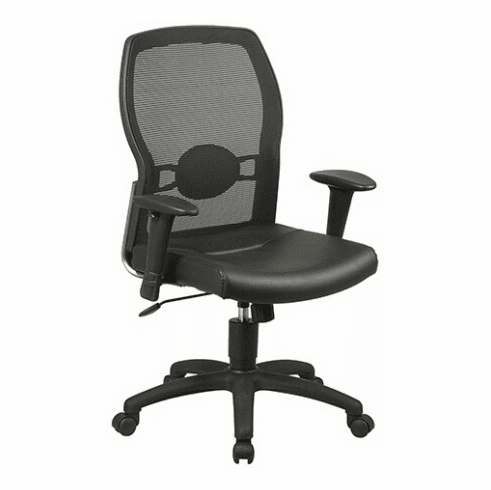 These executive mesh chairs normally ship in 2-3 business days from our CA warehouse.